This extremely versatile gauge has everything you could ever need in one handy tool! Holes for knitting needle sizes from 2.00 to 6.00. 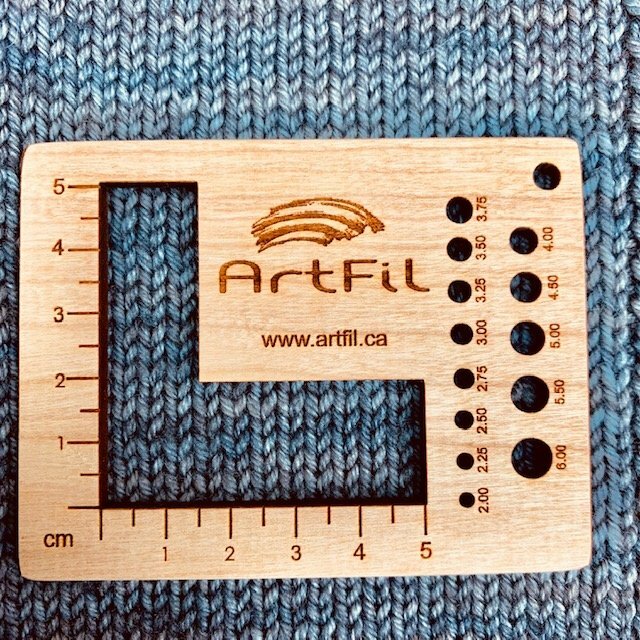 A cut out for measuring a 5cm gauge swatch has a ruler. 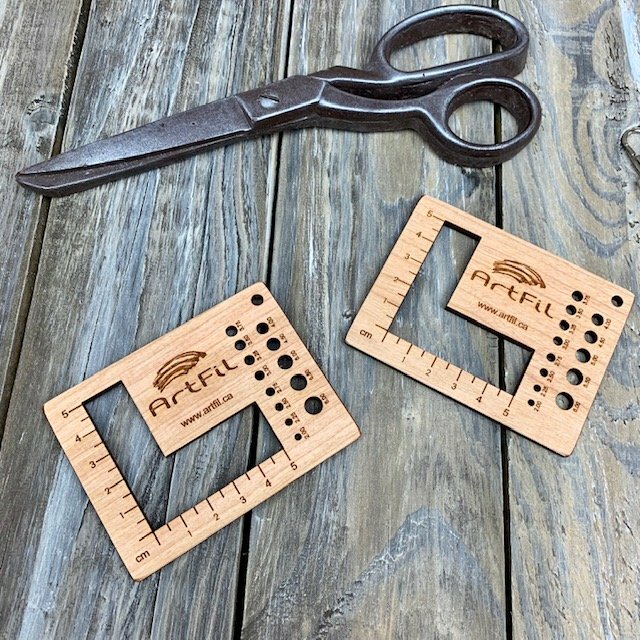 This tool would make a great gift for a beginning knitter but is also extremely useful for a lifelong crafter.